Paxtradings: For those who are not familiar with Sandblock, can you explain what it is and what the team aims to accomplish? 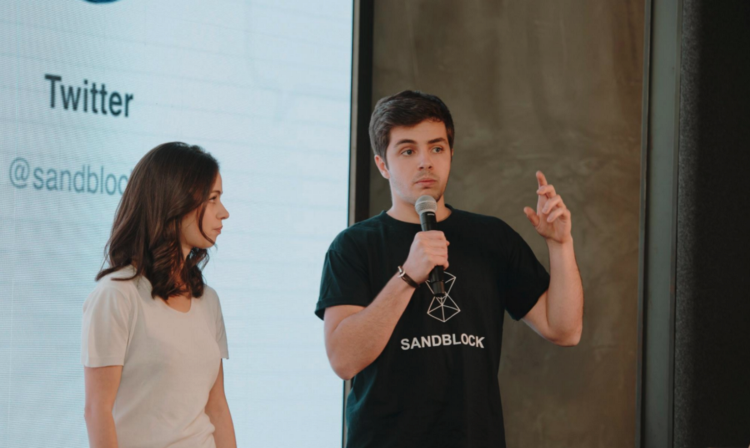 Eck: Sandblock is developing a decentralized protocol based on the Ethereum blockchain to connect Brands and customers together. 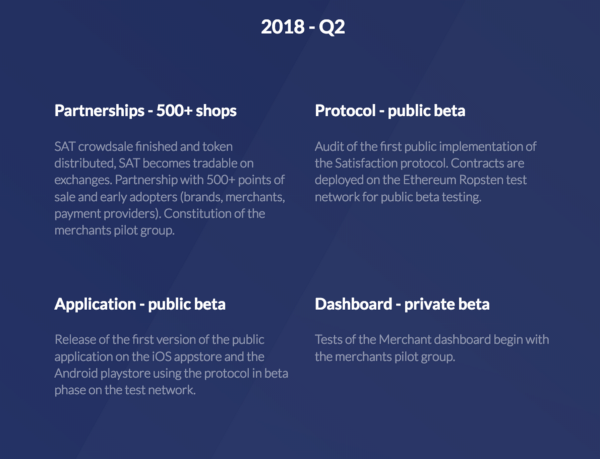 The protocol uses the Satisfaction Token, SAT (ERC20), to allow any Brand to create its own Branded Token directly pegged to the SAT. Brands can then use their Branded Tokens to reward their customers for their loyalty, their feedback (surveys, reviews) or any other form of engagement (contests, games). We are developing a mobile application (in Alpha and very soon in Beta) dedicated to customers which connects them to the protocol and let them access, redeem, barter and use their Branded Tokens (as well as other major cryptocurrencies such as BTC and ETH). Using this simple, mobile application, customers can now access a unified ecosystem of reward programs, collect their rewards, trade them, use them, and more importantly they do not have to give all kind of personal information anymore to sign up to those programs! On the other side, Brands gain access to tons of anonymized analytics data about their customers. Our dashboard dedicated to Brands allow them to easily create and manage their Branded Token, customize the various rawards they want to offer and access all the analytics provided by the ecosystem. We also provide a cryptocurrency payment gateway for Brands so they don’t need to worry about the volatility of the market or any other blockchain/crypto related issue. 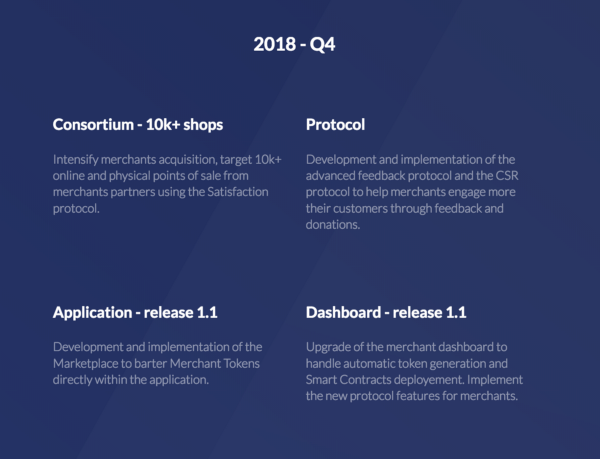 Paxtradings: How does the Satisfaction (SAT) Token function within the platform and why is it needed? Eck: The SAT allows Brand to create their own, named, Branded Token (e.g Casino Token). Branded Tokens are created by locking SAT into the Branded Token smart contract. Brands can create more Branded Token over time by purchasing more SAT on the market, this allows them so gradually scale and integrate this new form of rewards. Branded Tokens are not ERC20 and can be exchanged with each other at a 1:1 ratio in SAT, meaning that there is not a secondary market of Branded Token, only the SAT is tradable with other cryptocurrencies. With this mechanism, large and small Brands can coexist within the ecosystem and everyone benefits from the same market value. 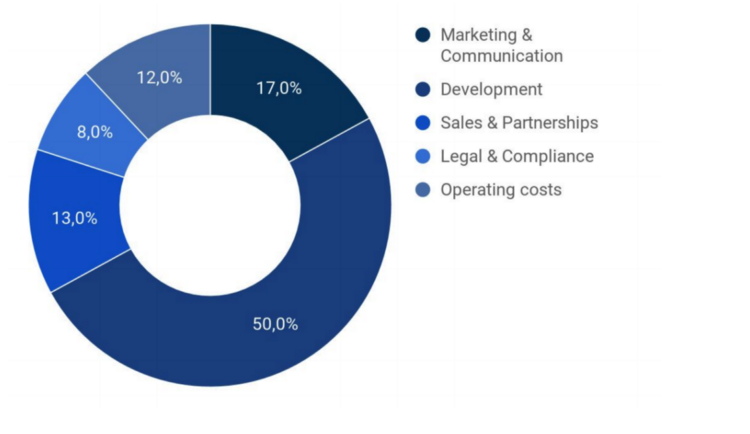 Branded Tokens can also be converted back to Satisfaction Tokens but this costs to the customer a 50% withdrawal fee (25% for the merchant, 25% burnt), this is a protection which ensures that Brands rewards mostly remain within the ecosystem and are not only used for trading purposes. Paxtradings: There are a lot of rewards systems in the market. What does the Sandblock platform accomplish using blockchain technology that similar programs (like credit card rewards) can’t? Eck: Beside the well known aspects of cryptocurrencies that Sandblock leverages (no physical frontier, real market value, direct access etc…), I think that the most important disruption here is about data and privacy. Legacy reward programs are scattered, complex to understand and usually require you to sign up using a lot of personal information which leads to a huge issue regarding data privacy. Moreover, merchants most of the time do not benefit at all from the data gathered by those reward programs provided by credit card companies. And while coalition loyalty exists (a group of businesses sharing the same reward program), they remain exclusive to huge corporation, specific to certain fields (airline industry and airport shopping for example) and are extremely expensive to run. Using the blockchain technology and smart contracts, we are now able to create a global consortium, a smart-contractualized alliance that any Brand can join and benefit from. Brands now can control every aspect of their reward program and have a direct access to the data generated by those programs. On the other side, customers gain access to crypto-rewards that belong to them, they can chose to exchange them for other Brands’ rewards as they wish, their data is protected and only anonymized information are available to Brands. Simply put, points don’t get lost anymore, they are cross-brand, have a real value and businesses benefit from the data generated by their reward program directly. All of this while ensuring a true data privacy. 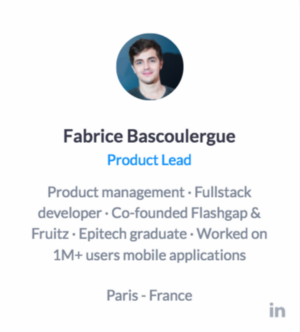 Paxtradings: How do you plan to attract retail brands to join the Sandblock ecosystem? Eck: Brands are already very interested in using the blockchain and cryptocurrencies for their reward programs. 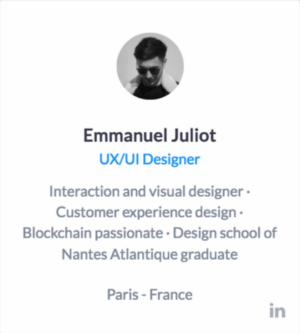 We have been really surprised to see that even huge players are already looking to join or implement this kind of ecosystem. We decided to start approaching retailers by offering bounty campaigns on the blockchain with a branded token. Once this brand token is distributed to their customers we will work on setting up a payment gateway. This allows brands to start learning about the ecosystem and integrating our services. Once convinced by the use of the blockchain for customer satisfaction we will invite them to fully join our program by integrating their existing loyalty program on the Satisfaction Protocol. Paxtradings: As we understand it, the Sandblock platform will allow customers to collect different tokens for interacting with different brands. 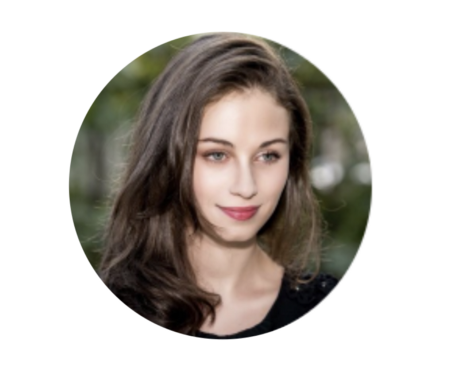 Will these tokens have different values based on how they function, and will customers be able to exchange these tokens with one another or with the brands themselves? Eck: All the Branded Tokens are pegged to the Satisfaction Token and share its value. Users can exchange Branded Tokens with each other for a 1:1 ratio based on the Satisfaction Token meaning that there is not a secondary market of Branded Token, only the SAT is tradable with other cryptocurrencies. This creates an amazing referral mechanism for Brands and enable customers to use their rewards as they wish. Customers once they collect Branded Tokens can either hold them to acquire more rights and benefits from their favorite brands (e.g. a premium membership for instance), use them to purchase goods and services or simply convert them back to SAT if they do not wish to use them anymore within the ecosystem. Paxtradings: You already have a large user base on your mobile application. 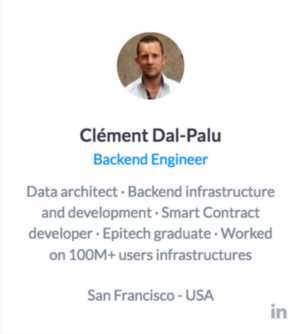 Can you tell us more about how the app functions within the Sandblock ecosystem? Eck: The mobile application allows customers to connect to the blockchain protocol. We are really focusing on the user experience to enable any kind of customer to enjoy this new kind of crypto-assets. It embeds everything to get started, a wallet for the user Branded Tokens as well as other cryptocurrencies, a QR code scanner to get access to rewards printed on receipts and a marketplace where users can barter their merchant tokens. 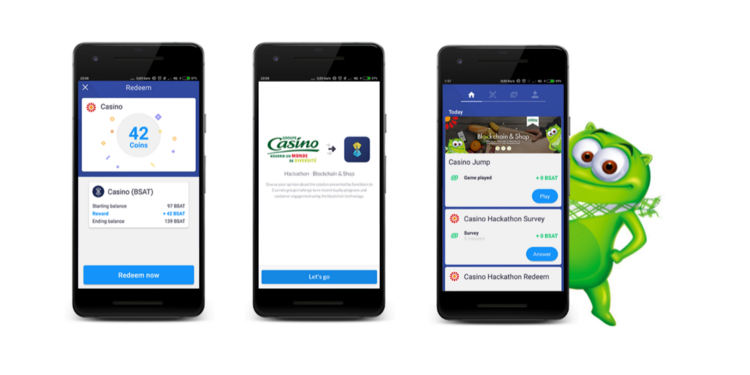 Within the application, users can also join the Brand’s contests and games and give their point of view through rewarded surveys and reviews. 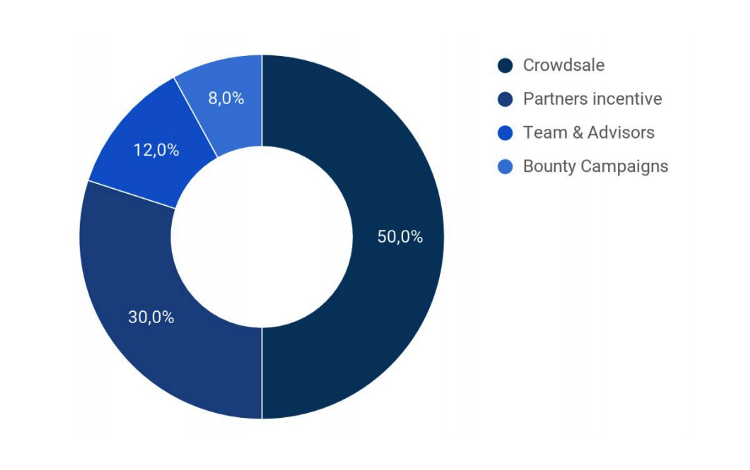 During our Alpha we introduced a couple games and surveys for our own bounty program to demonstrate how a Brand can use this mechanism to engage its community. We are opening this wonderful tool to other blockchain projects so they can use our platform for their own community as well and join the protocol with their own tokens. Paxtradings: One of the most important pieces of customer engagement for a brand is how they collect and use consumer data. How will the Sandblock ecosystem allow brands to use customer data without infringing on privacy? Eck: Through anonymized data! Within Sandblock ecosystem, customers do not have to give any personal information at all and Brands gain an access to only anonymized data. 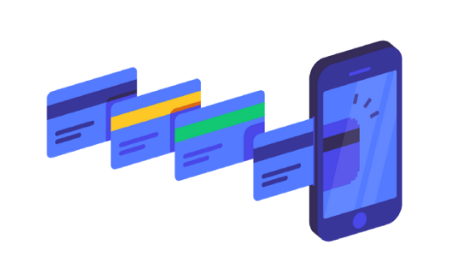 The principle of wallets allow them to identify their customers (like a cookie on the Internet) without to have to request tons of personal, private information. This is also a great advantage when it comes to abide to the latest regulations regarding data privacy (such as the GDPR in Europe). We are also already working on a mechanism to “reset” a user wallet and start with a fresh one (with all the tokens being forwarded) to give customers an higher degree of anonymity. Paxtradings: Gamification of rewards platforms is a huge trend which many consider to be an excellent way to engage customers. What are some of the ways you plan to gamify the brand experience for people in this ecosystem? Eck: The fact that the rewards are cryptocurrencies is already a gamification mechanism by nature. Millennials especially are fond of this kind of gamification and this is definitely our main target. Moreover, as I said previously, we also enable Brands to engage with their customers through contests and games. 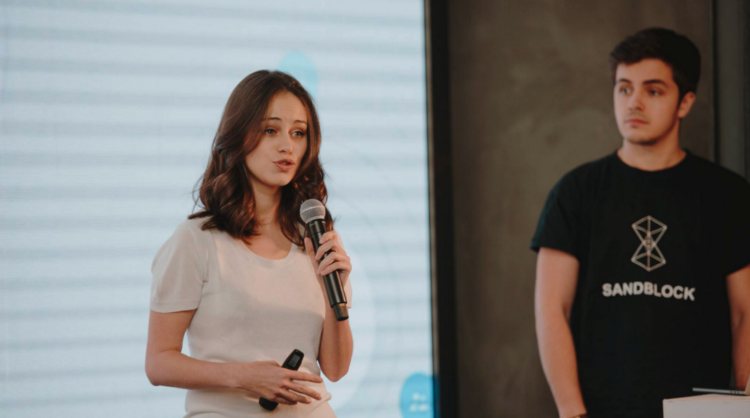 Brands will also be able to do “airdrops” by defining geographical zones where users can receive free rewards to discover new places, products or services. 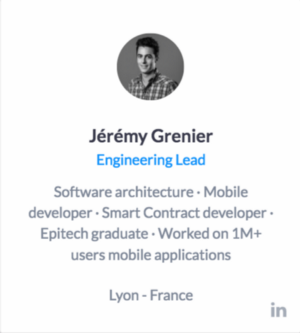 Eck: Our mobile application is in Alpha and we will soon move to the Beta which will onboard our first early partners during a pilot phase of 4–6 months. During this phase we will test and improve the protocol and products with our community and partners. Contributors will be able to use the platform as soon as the Beta is released with our pilot program partners. 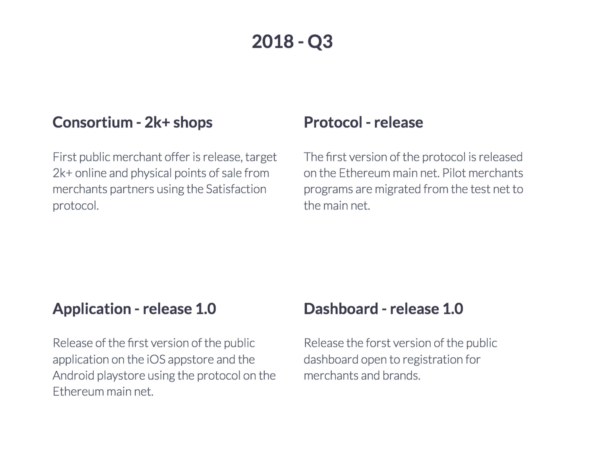 The full production is scheduled for the last quarter of 2018 and a this point everyone, brands and customers, will be able to join and enjoy all the advantages of the protocol and applications we are developing! Paxtradings: As a non-Sandblock question, we like to ask for unique predictions for the ICO and cryptocurrency space in the future. Where do you see both in the next 3–5 years? 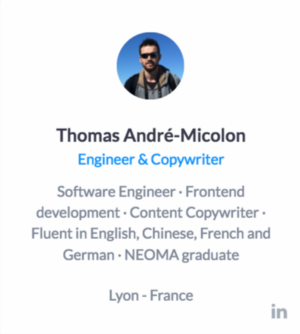 Eck: I think that ICO projects are becoming more professional at a very fast pace and that the public part of the sale will diminish over time. Leaving more place for institutional and large contributors with a professional expertise and a smaller chunk for the general public. This will eventually lead to less projects but with a way higher quality and a better protection for smaller contributors which is definitely needed. Regarding cryptocurrencies, I think bitcoin might lose its dominance over an altcoin. We will see more bridges between the various blockchains and hopefully more efficient and transparent decentralized exchanges. 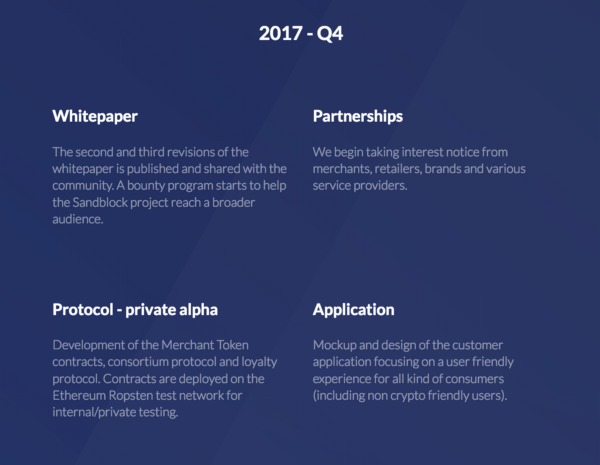 The pre-ICO began on February 28, 2018 and ended on March 11, 2018. The Pre-ICO completely sold out (8,000,000 SAT). The main ICO will begin on April 25, 2018 and will end on May 16, 2018. There are a total of 27,500,000 Sandblock tokens (SAT) available during the main ICO, representing 50% of the total (SAT) supply. A hard cap of $8,000,000 is set for this period. Current accepted currencies for Sandblock include ETH, BTC, USD. There are a total of 55,000,000 (SAT) tokens being created, with 27,500,000 available during main ICO. Contributors will have their tokens distributed shortly after the end of the ICO. 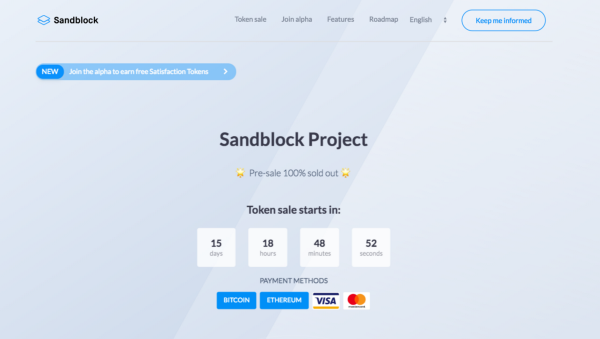 Visit the Sandblock website for more information and the contribution address. 3. 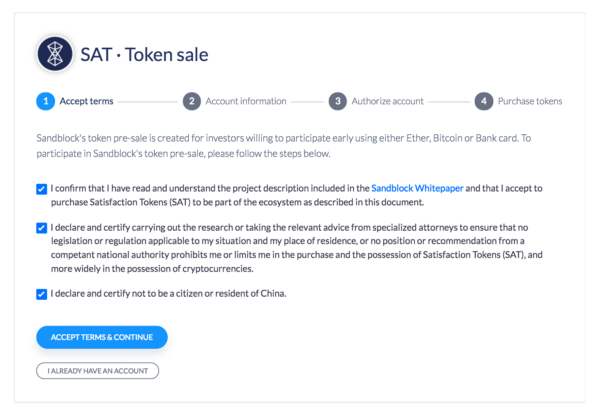 Enter your information on the SAT token sale form. 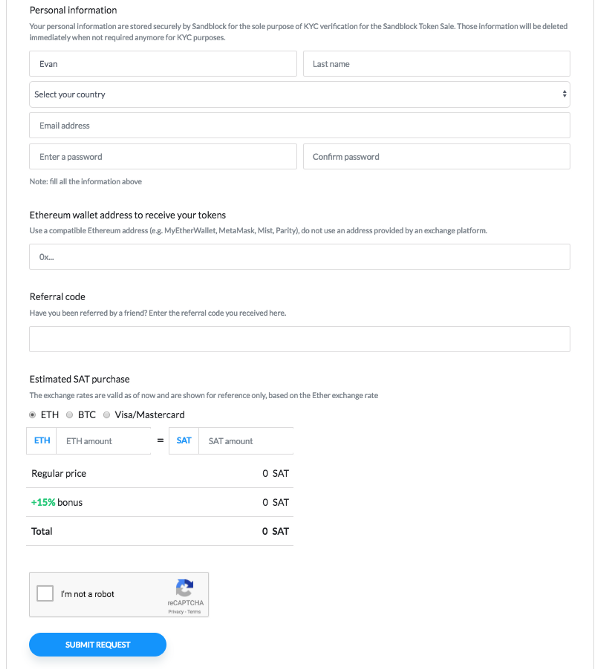 Enter your ethereum wallet address to receive your tokens (and any referral code you might have). Choose your method of payment and execute the captcha to prove you’re not a robot. Chinese citizens are unable to participate in the ICO. 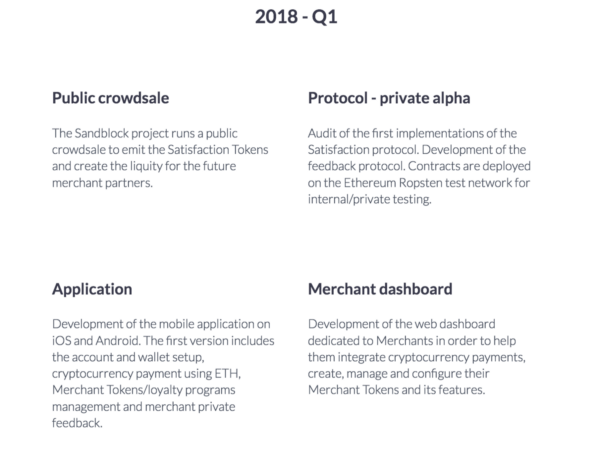 View the Sandblock website here.